A thin cloud is covering Santorini today until the afternoon, that traps the rays of the sun and as a result the temperature rises slightly. The low intensity wind changes direction to southwestern and gives us the opportunity to visit the quieter eastern side of the island. In Kamari beach several beach shops are open on the paved walkway to accommodate you and provide you with coffee, food and drinks. 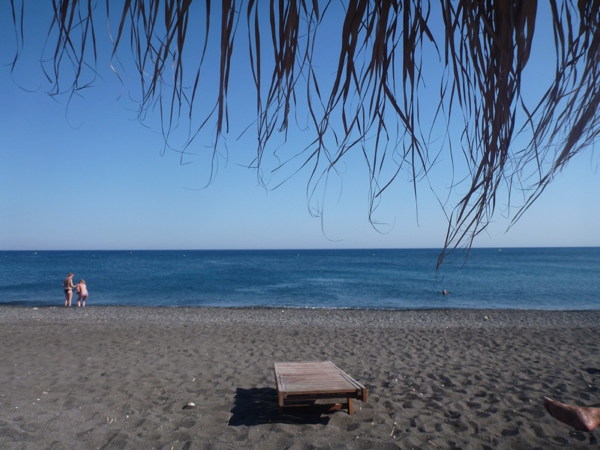 The shallow and warm Monolithos beach is ideal for happy family moments. The beaches of Perissa, Kolumbos, Vourvoulos and Pori are also remarkable today. Have fun!